According to CNN, a Stanford Graduate School of Business survey found 1,800 new businesses between 2007 and 2012 were started by Latinos in the U.S. Frequently, we can find amazing items that truly celebrate our culture, identity and los secretos de la abuela! Even though National Hispanic Heritage Month in the United States is from September 15 to October 15, as Latinos we tend to celebrate our rich and diverse traditions every day and with no special occasions. To help you celebrate your heritage all year long, we gathered up with a list of five fashion and beauty brands that pay tribute to the Latin American roots. su_ella is the story of two Latinas, born and raised in NJ who love creative arts and fashion. Jisely Jimenez and Lian Amado came with the idea of creating a shirt with freedom. The intention of launching something like nothing that had been seen before, led the ladies of su_ella into a talk of who they want to empower. Their goal now is to make dope mujer gear that pushes Latinas to be bold, creative and to remind them of who they are! Lian (Cuban & Spaniard) and Jisely J. (Dominican), together draw from the Latin women who have paved the way for them, to inspire the new generation of Latinas to come. "Our dream is to keep adding to our list of Latin Legends and to eventually be on it too. We just want to see more of us when we're talking about history," the duo told Latin Times. Their Latin legends t-shirt can be found here! 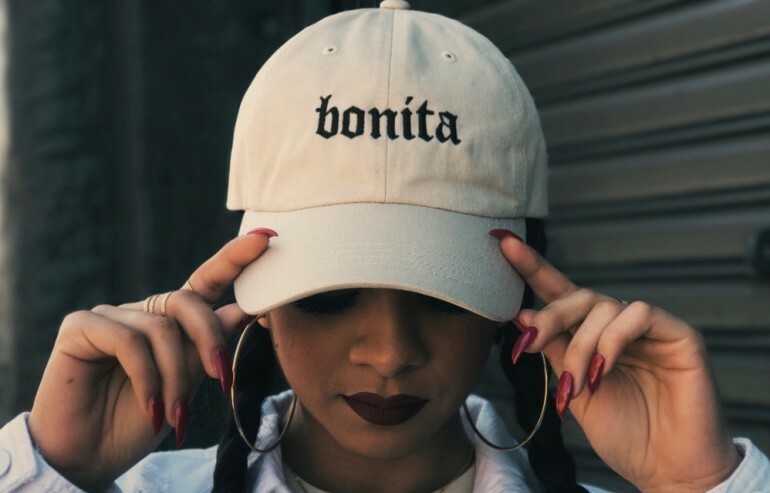 Viva La BONITA is a Latin lifestyle and apparel brand, inspired by the spirit of the women who are fearless. Rachel Gomez is the founder of the shop and considers herself as a “mompreneur” as she splits her time between adding new products to the collection and raising her child. T-shirts, jackets, hats, pouches and more, can be found in the online store who offers free shipping on all U.S orders over $40, using the promo code BONITASQUAD. Founded by Patty Delgado, Hija De Tu Madre celebrates the beautiful mess that is being Latinx. Each piece of art and clothing is inspired by the owner cultural crossroads. This creative outlet celebrates the complexities of being a product of more than one culture, and caters to the Latin community who bravely question everything. Delgado considers her shop and blog, are for girls who unapologetically represent their colorful culture while trying to make sense of two seemingly opposing identities. Mexican-born Founder and CEO of Reina Rebelde, Regina Merson fills the void in the market for a makeup line that truly celebrates and honors Latinas at every step of their beauty rituals with products such as "Atrevida" for the Bold Lip Pencil in a bold black color to "Brava" one of the Bold Lip Color Sticks in an insanely pigmented red, and much more. Each product was carefully curated and developed over the past three years and aims to give Latinas a beautifully, bold makeup collection that celebrates the unique cultural dualities that Latinas in the U.S. currently live. Check the whole Reina Rebelde collection here! Inspired by family roots and co-owned by Latina sisters​, Hola Dear Deer uses words in Spanish like "Nena" and "Chula" to stamp in their creations. The only store based in Texas, invites to all the "Chicas Malcriadas" to be part of the movement and like the Argentinan sisters be proud of your culture.